The Fort Collins Brewery's Tasting Room in Fort Collins is going to be hosting a lot of events this year and to start off a new focus for the room, FCB is going to be hosting a Kick The Keg Party coming up in February. Here's their latest press release about the Tasting Room and a bit about what's being planned for that space. 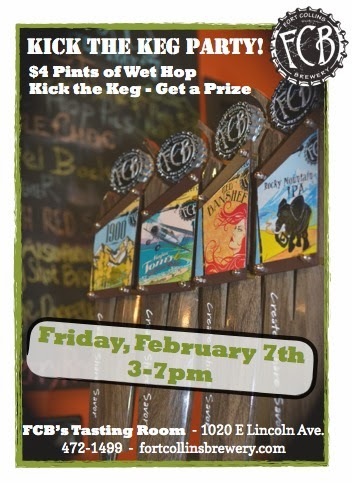 [PRESS RELEASE] Fort Collins, Colo. – The Fort Collins Brewery, along with Gravity 1020 Modern Tavern, is excited to announce a Kick the Keg event on Friday, February 7th at the FCB Tasting Room to celebrate the transition into a new multi-purpose room. As of Friday, February 7th the Tasting Room will host events Sunday through Thursday, and will now offer FCB tours with food pairings every Friday and Saturday from 11 a.m. to 7 p.m. During the week guests will be able to purchase merchandise, refill growlers and try taster flights from Gravity 1020 Modern Tavern inside Fort Collins Brewery. Kick the Keg, a free event open to the public, is a way for FCB to essentially kick off the new hours for the Tasting Room that will go into effect on that Friday. Kick the Keg will run from 3 p.m. until 7 p.m. The Fort Collins Brewery is a family-owned, hand-crafted brewery in Northern Colorado, since 2004. 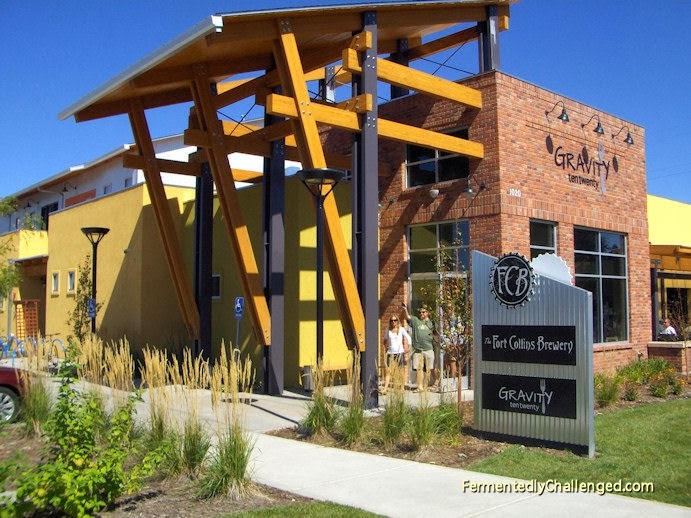 FCB also offers the only full-service restaurant inside a brewery, Gravity 1020 Modern Tavern, in Fort Collins, Colo. The FCB tasting room is open from 11 a.m. – 7 p.m. on Friday and Saturdays, with tours running both days at the top of the hour. 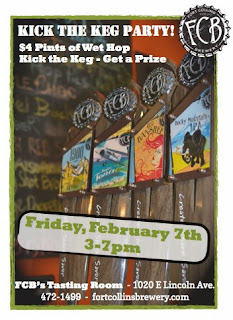 For more information, visit fortcollinsbrewery.com or call 970-472-1499.